At some point, we have to come up with a viable, consensus name for the Avalanche’s top line of Nathan MacKinnon centering Gabe Landeskog and Mikko Rantanen. “A Canadian, a Swede and a Finn” is accurate, but it doesn’t work. Bringing in the uniform numbers, calling it “The Nine Line,” (i.e., 29, 92 and 96) harkens back to when Matt Duchene (9) centered or was on a wing in various combinations. So that’s for another day, and for now it’s pertinent to talk about the line’s amazing night in the 6-5 loss to the NHL’s best team, the Tampa Bay Lightning, on Saturday and look ahead at where it goes from here as the Avalanche continues to demonstrate that at the very least, this is an entertaining team that is a quantum leap better than last season’s 48-point horror show. The line produced all five goals, with Landeskog getting a hat trick and two assists and MacKinnon getting the other two goals. It was Landeskog’s second hat trick in his most recent 12 games. 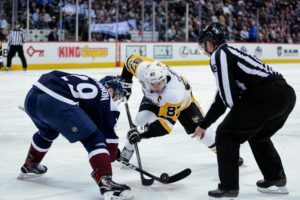 The Avalanche will be 15-15-2 going into Monday night’s home game against Pittsburgh, the second matchup in eight days of the friends and Tim Hortons pitchmen from Halifax, Nova Scotia — MacKinnon and the Penguins’ Sidney Crosby. MacKinnon is torrid and as the power forward on the line, Landeskog is taking advantage of it. “We’ve been together now from the start of November,” Landeskog told me after practice Sunday. “Nate was (NHL) first star for November for a reason and he kind of led us, leading our team as far as offense goes and was on a roll. Mikko and I were just trying to do our part, work hard. Landeskog’s top goal-scoring season was 2013-14, when the Avalanche amassed 112 points and the Swedish captain contributed 26 goals. Despite missing the four games after his cross-check on Calgary’s Matthew Tkachuk, he has 13 goals in 28 games this season, and if he stays healthy and stays out of the vice principal’s office, he should reach the 30-goal benchmark for first time. 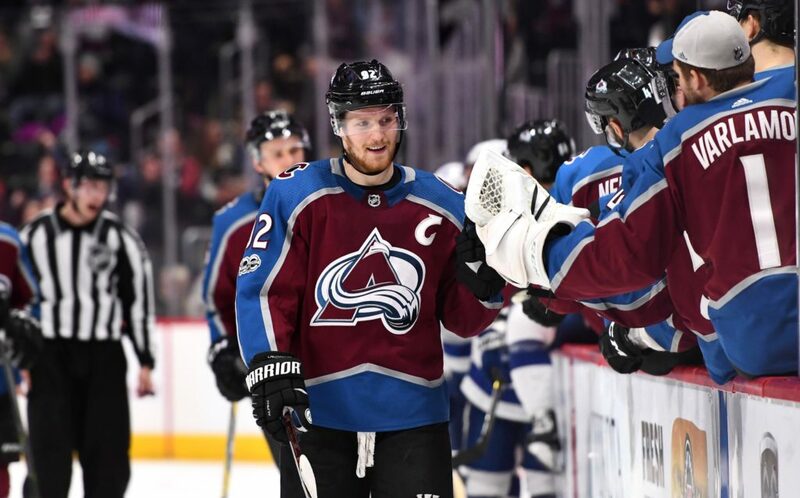 “If you look at the guys I’ve played with in the past here and been successful with, they’ve been a little different than Nate,” Landeskog said. “Paul Stastny and Ryan O’Reilly were more give and go type of players and Nate’s the guy you can look for on the breakout, give him the puck and then he’ll find ways to transport the puck into the O-zone, whether he pulls up or takes it to the net or creates something on his own. Can this line become one of the game’s relatively long-term lines? Avalanche coach Jared Bednar emphasized that Landeskog can’t try to get too cute.